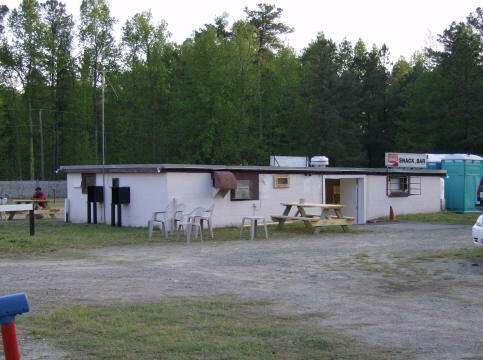 location 3336 Raleigh Rd. 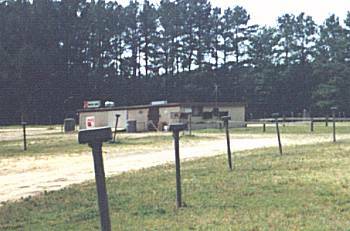 (business US 1 south), Henderson, N.C. 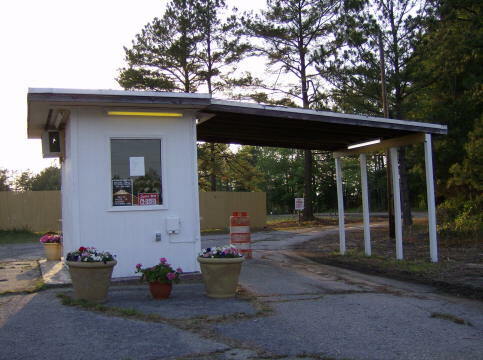 If you've been to the Raleigh Road and would like to share your opinions, click here. 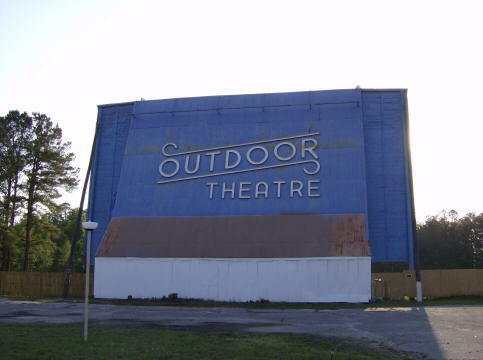 "I had a fabulous experience at this drive-in movie theatre. The location was easy to find, the folks were SO helpful at the entry gate and provided me with a ton of information because it was my first visit. I came with my brother and his family in a separate car and we ALL had a wonderful experience! They are pet friendly and lived up to it as my dog was even given a 'treat' from the ticket window. 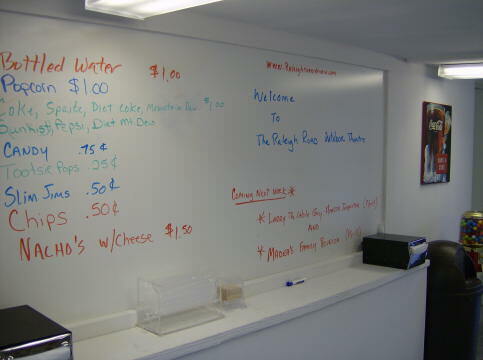 The concession stand folks were nice as could be and courteous. Me and my family will definitely go again... maybe even again this weekend!!! 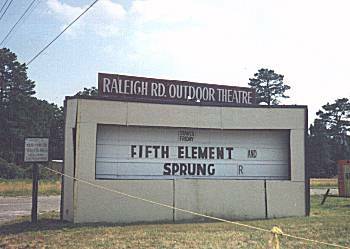 Originally named the Moon-Glo Outdoor Theatre; renamed Raleigh Road in the '70s. 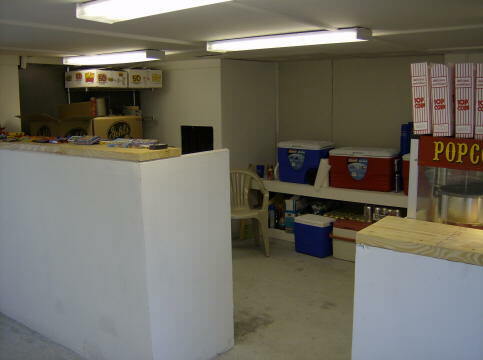 Purchased in 2006 by Jim and Megan Kopp of Northern Virginia, it underwent extensive renovation, as evidenced by the photos further down the page. 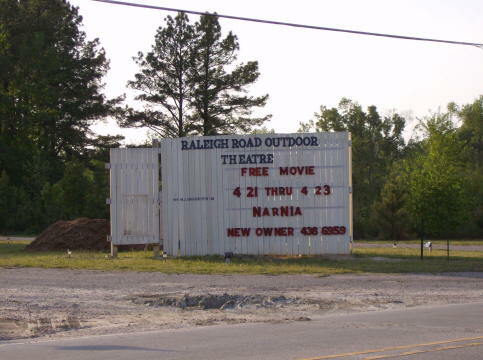 In December 2011, Mark and Jennifer Frank, operators of the Keysville Drive-In, purchased the Raleigh Road. 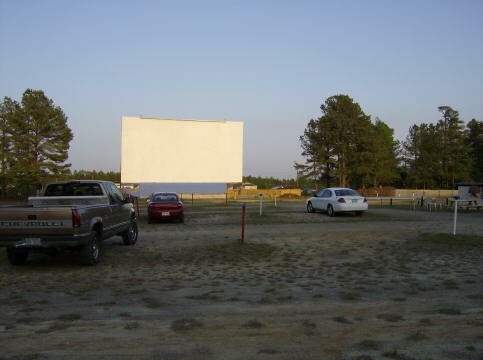 Click here to see an recent, full-color aerial photo of the drive-in. 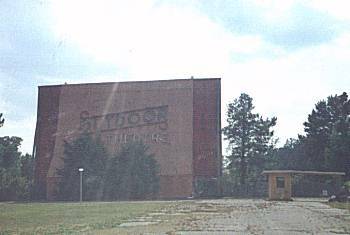 Above photos (from mid-1990s) from Tim Thompson's Drive In Theater. Used by permission. ...and these photos from March 2007 (courtesy Jim Kopp) show the results of an additional year's worth of TLC.